Address: 99 E. Pontaluna Rd. I went there a ton when I was a kid! I remember the slide you had to carry your sled to the top. Then the giant roller ball slide down until you skipped across the water like a well thrown stone. There was a zip line and all kinds of stuff. It is a great childhood memory. It closed in '97 and it is a housing complex called Windflower now. Trying to find out some info about Pleasure Island. I went to PI as a kid and my wife grew up in the area as well. She seems to think PI was named Splash at some point which I do not think that was the case. Was there another in the area named Splash. I found one that used to exist in Grand Rapids but just checking. My family went to Pleasure Island two or three times in the 80's. It was the first time I ever did a bumper boat, I remember that pretty well. My favorite was the roller slide that sent you down on a plastic raft and skipped you across the water. There was a zipline that you went down into the lake and it stopped and you flew off into the water. I remember I hated that thing. The last year we went was the first year of the Black Hole, which I thought was great. It's another place gone that I wish I would have gotten pictures of. I remember pleasure Island I remember the two speed slides that was right between the two Corkscrew slides and the mini golf course that was on the shore of the lake but I don't remember what lake it was LOL I remember the black hole it was the newest addition to the theme park at the time. I was just a kid, went there a couple times one time as a field trip I think with the boy scout troop in once with my family. This was in the 80s and I remember Boblo Island as well it's sad that these theme parks dissolved. I even have the Kodak pictures of myself as a are young child mean my family at these great theme parks. Many fond memories. Wish there were any kind of pics out there I could find from this park (when it was actually open) besides the one of the Black Hole. Can the person that said they have a pamphlet from 1993 post that at least? Does anyone remember the free mini-golf they had? I also remember the little trail that went off into the other lake with a slide was a blast. What would've been really cool is to be like that poster below that walked around in 2000 when it was abandoned. I really like the Haunted Forrest they would have at Pleasure Island during Halloween. It was really scary. There were shallow graves that people would pop out of and chase you. I also remember someone chasing me with a chainsaw. I thought my friend was holding on to me in fear, and it was one of the workers dressed like a demon. That scared the mess out of me. Looking for picture of 1969 SC/Rambler from 1969 to 1971. Raced under the dealership name of Kryza AMC Fenton Mi, also raced at Lapeer and Tri City. Car was drive by Jack Whatt. I worked there the last summer they opened. Michigan Adventure built a water park right around that same time and it really put a crunch on the water park. the summer of 1997 was there last summer and it was very cold and not a lot of people went. the group that bought the park had every intention of tearing the place down and building a housing development. it wasn't suppose to be that summer but because of the weather and the growing bad economy in Michigan they closed it. it remained an abandoned park for the nest few summers. broke in once to look around in early 2000. around that same time the development company began tearing down the park. the slides were all sold to the double jj ranch in new berry. I always wondered what happened to Pleasure Island. A group of friends and I went there summer of 1992 and had a really great time before our senior year of high school. I forgot my contact lens case and bought a shot glass to hold them. I recently moved and found that glass in the back of the cupboard. That was a great time, the blackhole ride was the best. hey all, I''ve been doing research for a documentary I''m going to be filming this summer about Abandoned Michigan Water parks and fun parks. I too was a big fan of Pleasure Island and found this site while looking up info on the park. I have two brochures on the park from 1993 and they have aerial maps that show where all the slides were. I used Google maps to find current aerial shots of the land the park was on and compared those with the brochures. The pics that are currently up on this site depicting the way the park looks today are not very accurate. The park was located further toward Little Black Lake. 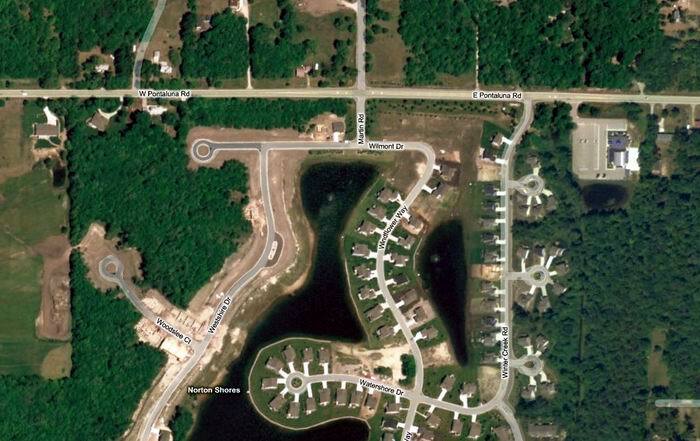 From the current pics I found, it looks as though the land where the slides were located, still remains vacant, and the subdivision was built around that land. If anyone has any photos of the park with the slides, or has ANY info I could use for my movie, I would be very grateful. ThanksTim C.
My dad used to take my friends and I to Pleasure Island once a year. What a fun place! There were many slides, especially after they expanded the park in the late 80''s/early 90''s. My favorite slides where the side by side speed slides, the Black Hole (had to really watch your head), and the toboggan slide (although they were quite heavy to drag back up to the top). The lazy river was great too. I was bummed when I found out they closed. A piece of my childhood had vanished. Nothing stays the same and that''s a part of life. The park operated in the 1980s and 90s, consisting of 13 water slides, mini golf, a beach with zip line, paddle boats, gas powered bumper boats, a lazy river, and a children' swim area with three small water slides. The feature attraction was a water slide named the Black Hole which was built into a hill and started out with a near vertical drop which then circled back into the hill, finally coming out of the hill into a pool of water at the base. When nearby Michigan's Adventure added its Wild Water Adventure water park, the competition was too much and Pleasure Island closed. 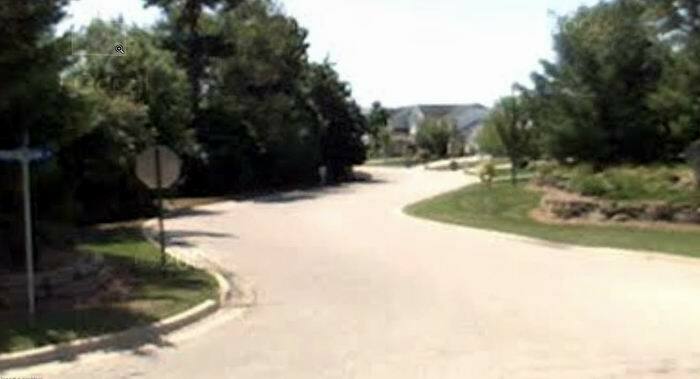 The property later became a subdivision, named Windflower bay. One thing I haven''t noticed on Water Winter Wonderland yet is the mention of one of West Michigan''s largest waterparks, Pleasure Island. 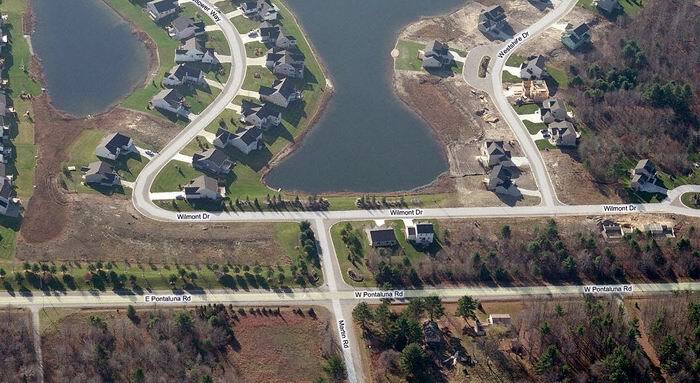 It was located in Norton Shores (south of Muskegon) on Pontaluna Rd. , and went out of business when the competition from Michigan''s Adventure''s waterpark became too much. They had a lot of great slides like the Black Hole, bumper boats, mini golf, paddle boats and a lazy river. The park opened in 1981 and closed after the 1997 season.